The plaque commemorates those who served in World War Two. 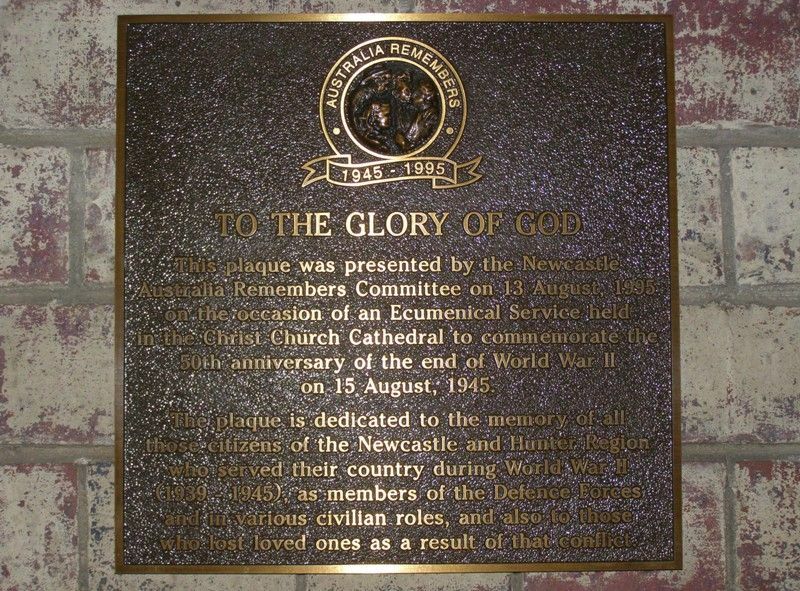 This plaque was presented by the Newcastle Australia Remembers Committee on 13 August 1995 on the occasion of an Ecumenical Service held in the Christ Church Cathedral to commemorate the 50th anniversary of the end of World War II on 15 August 1945. The plaque is dedicated to the memory of all those citizens of the Newcastle and Hunter Region who served their country during World War II ( 1939-1945), as members of the Defence Forces and in various civilian roles, and also those who have lost loved ones as a result of that conflict.